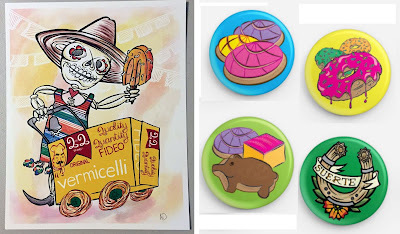 Beautifully Illustrated & Designed Latinx Artwork & Accessories. Full of Color, Culture & Character, Celebrating Mexicana Heritage. I am a big supporter of anyone who celebrates their heritage and shares it with people of different cultures. This sensibility plus a wonderful aesthetic makes Garzig Design truly unique. 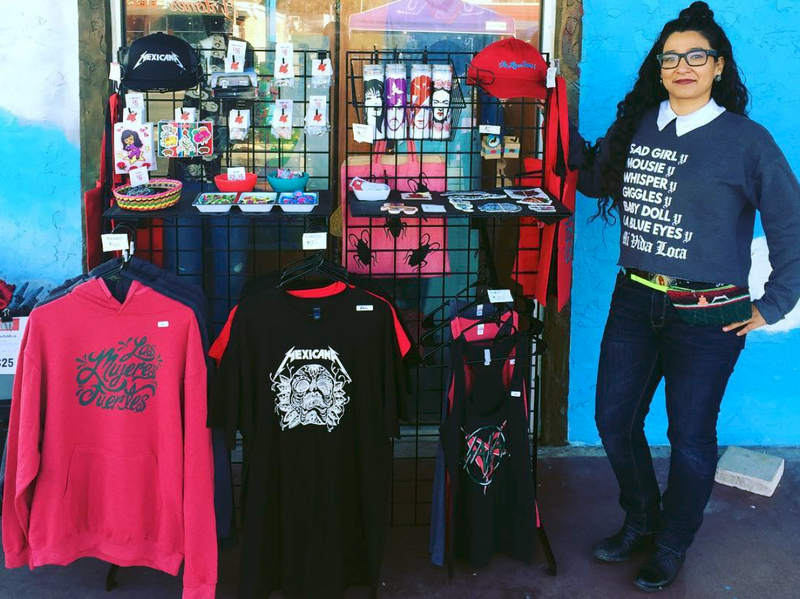 The artist behind this bold, fun brand is Angel Ortega. She works wonders as much with pencil and paper as iPen and iPad. Her favorite subject matter for her designs comes from Latinx pop culture – the food, musical icons, holiday traditions, statements of cultural pride. What first caught my eye were her nods to Selena and strong women in general, i.e. "Mujeres Fuertes." What a great role model for little girls and aspiring artists! As a graphic designer, some elements are hand drawn like a lot of her stickers that have a vintage tattoo feel, and others involve arranging the right elements and typography. I appreciate how much flair and attitude she manages to incorporate simply by picking the right fonts, some of which I imagine she customizes to reflect her style. Have you seen her Salsa design that's a little "metal" as she calls it? In addition to her art, Angel is very active in the community supporting other artists, especially fellow Latinx and women of color. While I first met her at Cherrywood Art Fair, it was through her involvement with Chula League's Little Artist BIG ARTIST program that I got to know more about her passion for the arts. She shares that passion with other groups as well like Frida Friday ATX. Call me biased because the Latin culture has always had a special place in my heart, but I would argue that we need more artists like Angel who gift us a piece of themselves and their culture through artwork we can all enjoy. Angel's colorful designs and sassy sentiments are fun simply because of her artistic talent, but for me, the motivation behind her work makes it even more special.